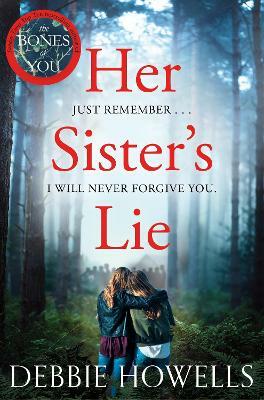 Her Sister's Lie is stunning psychological thriller from the bestselling author of The Bones of You, Debbie Howells. Hannah and her sister Nina were once close. But they've not been in touch for years when Hannah learns of her sister's death. Now Hannah is left with the care of Nina's teenage son Abe, and the memory of the appalling secret that drove the two sisters apart . . . Bringing Abe into her home, Hannah finds him a difficult houseguest. Sullen, rude and uncooperative, Hannah tries to be understanding - after all, he's a grieving boy. But when sinister things begin to happen, Hannah is forced to confront the possibility that Abe might also be dangerous. Debbie Howells worked as cabin crew, a flying instructor and a wedding florist before self-publishing three books. She then wrote The Bones of You, which became a Sunday Times bestseller. Since, she has written two more psychological thrillers and Her Sister's Lie is her fourth. She now writes full time from her home in West Sussex.